Hire a car, vehicle or a motorcycle, scooter, ATV, Quad, buggy in Folegandros island via our online car rental booking engine (Click here). You can now easily find available and rent your preferred one car rental in Folegandros island in the cheapest prices. So proceed on with safety and feel comfortable with youn next one RAC’ Folegandros rent a car online booking! Get a quick view of our available vehicles and hire a car in Folegandros Island in the cheapest price… There are many car types available such as “small cars”, “midsize” or “large cars”. There are also available many luxury car rentals, wedding cars, jeep 4×4, SUV, convertible rentals, atv rentals, buggies, quad and scooters as well that may accomplished your next cheap rent a car in Folegandros. Rent a car in Folegandros Greece from our car rental branch office, furthermore in folegandros port and in Chora (Town), Karavostasi and Ano Meria. Rent a car in Folegandros island in Greece is a procedure that is under specific terms and conditions. You may get informed about all those rent a car terms and conditions by clicking here. For more information about Folegandros island, such as folegandros beaches, villages, sightseeing, map, usefull information on how to get there, ferry tickets and routes, etc, then please feel free to click here! 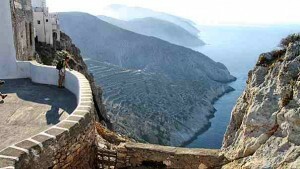 Folegandros cheap car rentals, car rental deals and folegandros special car hire packages are available in this site. Take a quick look and book now your best one rent a car deal, package or last minute offer in Folegandros! Rent a car in Folegandros Greece and want more rental services? Rent a car extras, renting a car and touring with a RAC driver, special pick-up and drop-off arrangements, Service in many different destinations in Greece, etc are now available from our branch offive in Folegandros.